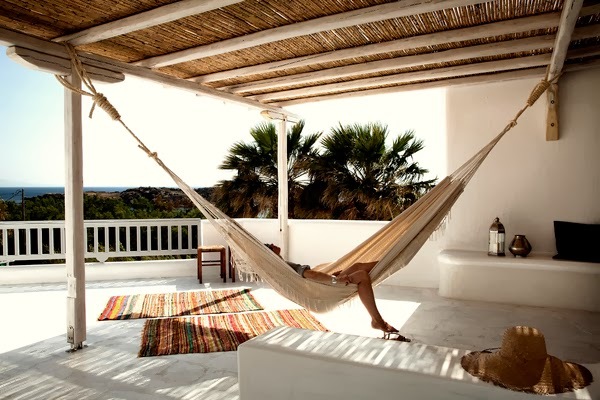 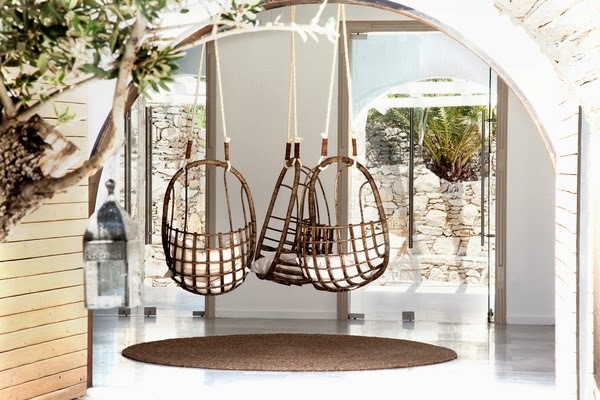 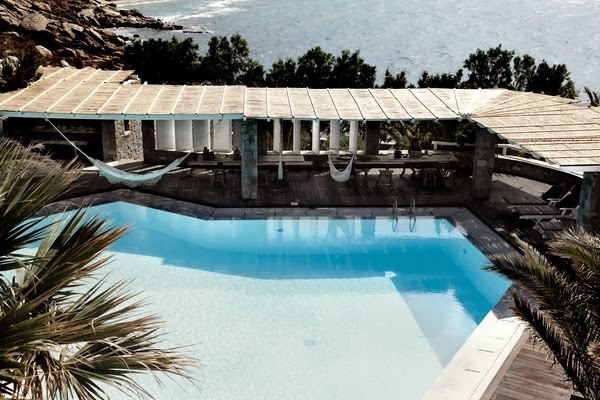 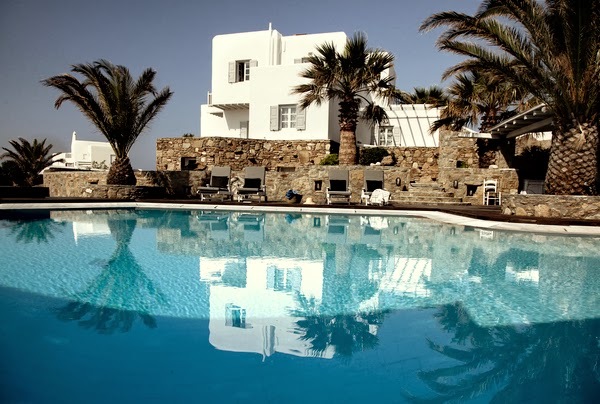 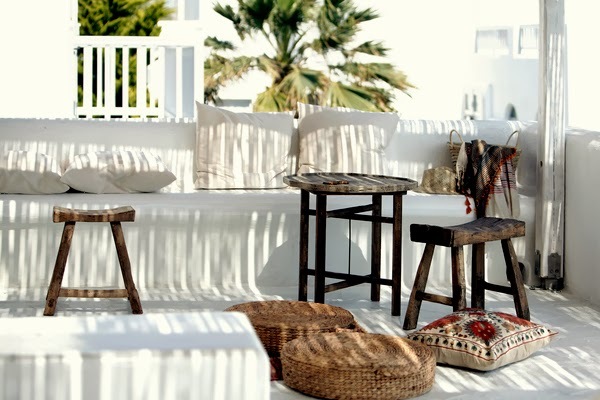 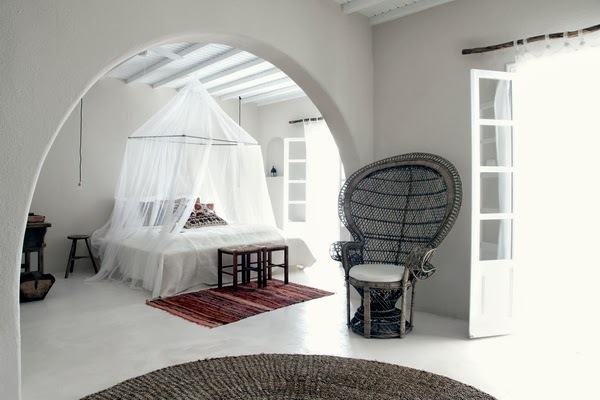 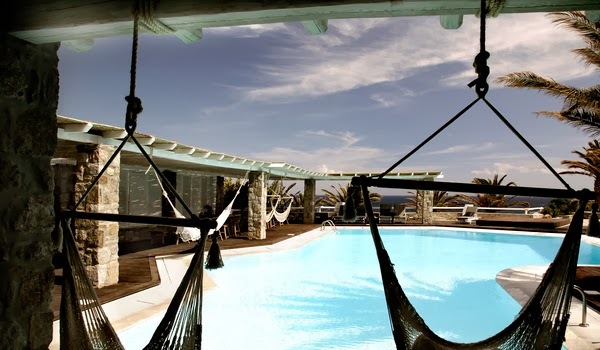 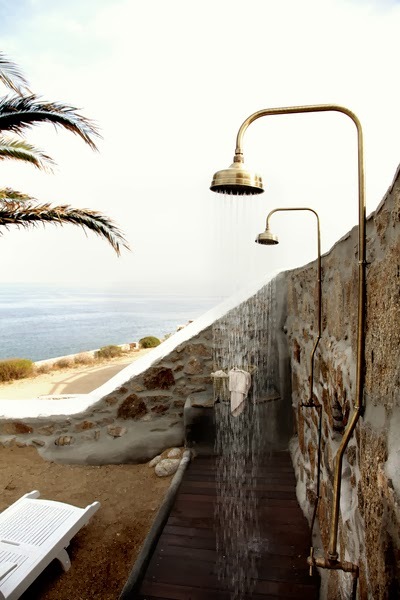 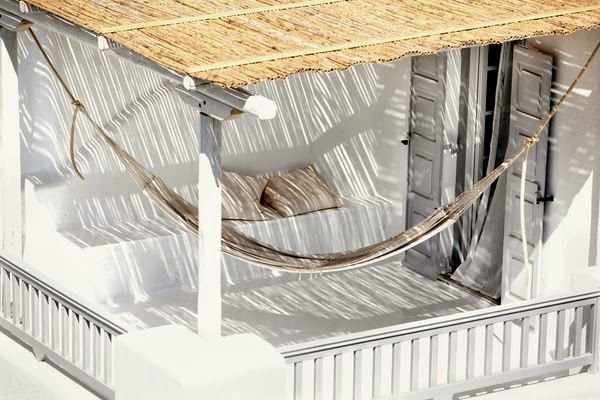 San Giorgio Hotel in Mykonos, one of the top tourist destinations in Greece, is set against the dramatic coastline of the island, being a blend of rustic and modern Mediterranean flavors. 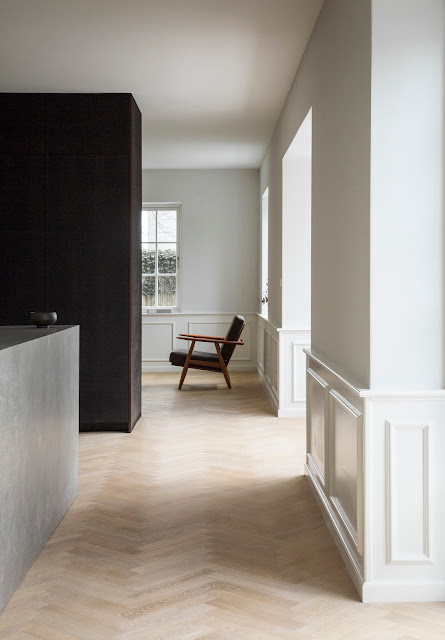 A member of Design Hotels, the hotel interior was redesigned by Berlin-based team Lambs&Lions with creative director Michael Schickinger and designer Annabell Kutucu, completed in 2012. 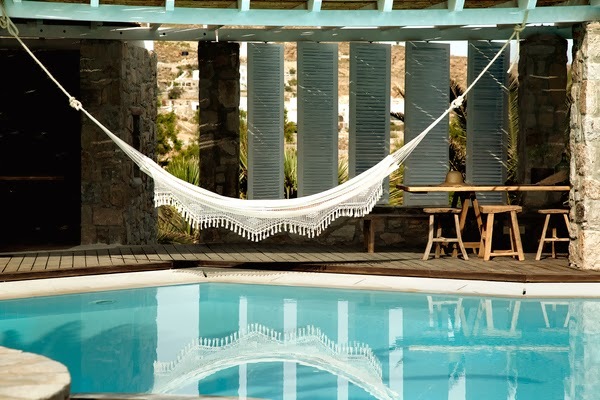 The hotel’s philosophy is based on bohemian luxury, offered with style, comfort and simplicity. 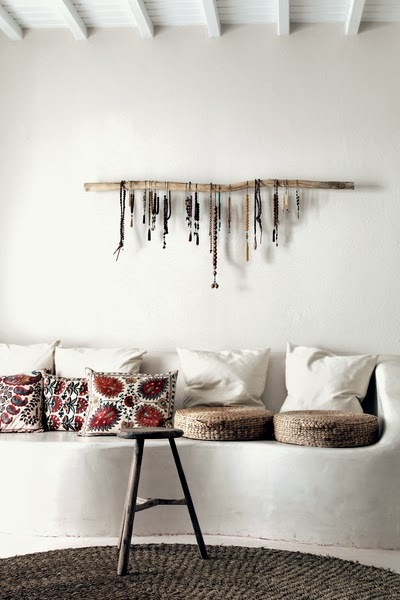 The design recalls ’60s bohemian chic, with abundant natural materials, handmade fabrics, and vintage pieces. 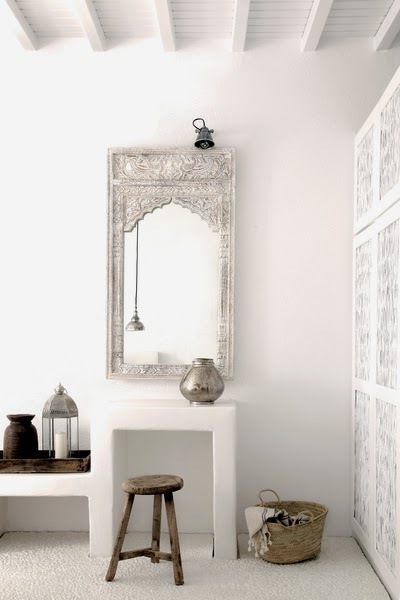 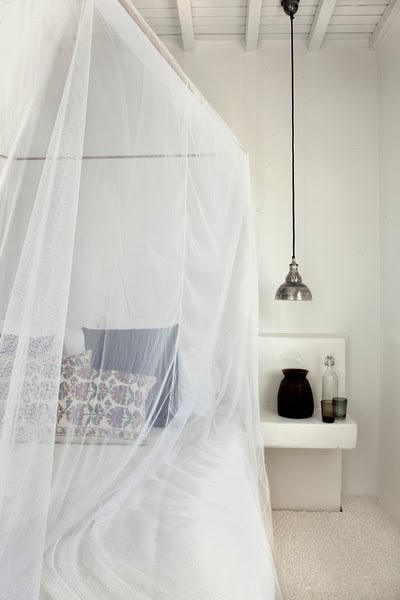 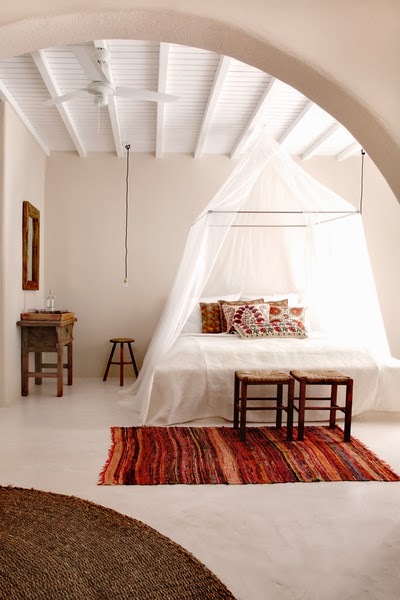 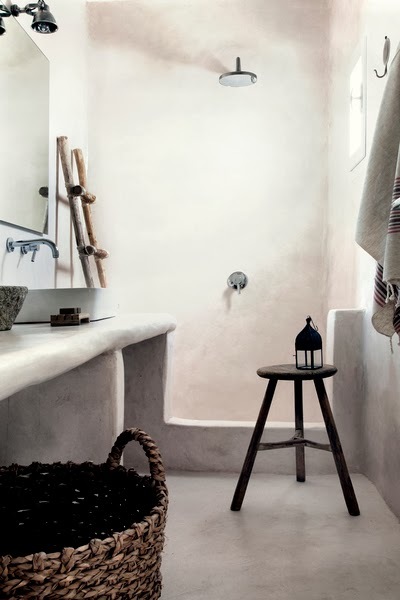 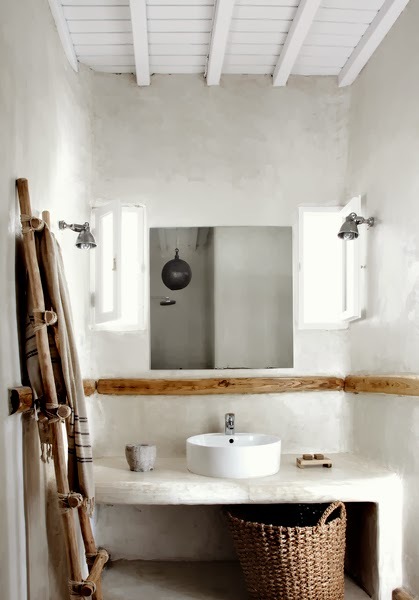 Whitewashed walls are combined with unique, handpicked items, every piece having its spirit of beauty and clarity and displaying the genuine power of craftsmanship in it.